Hawaiians are preparing to be one newspaper poorer. Gannett officially exited the Hawaiian market where it has played for nearly 40 years. The company signed over ownership of the Honolulu Advertiser to the owner of rival Honolulu Star-Bulletin, bringing an end to a brutally competitive battle. Analysts say Gannett was winning the war but chose to cash out rather than to fight a smaller competitor that simply wouldn’t go away. 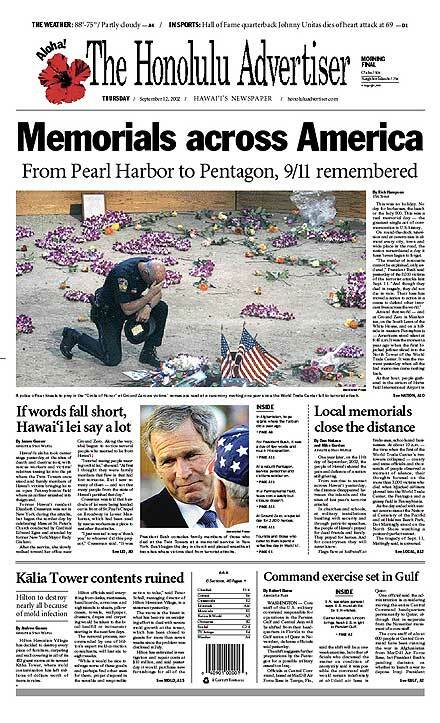 The Star-Bulletin plans to merge the two papers into the Honolulu Star-Advertiser sometime in the next 60 days, cutting about 300 of jobs in the process. The combined papers will have a circulation of between 135,000 and 140,000. This is a little confusing. You see, Gannett used to own the Star-Bulletin. Then it bought the Advertiser and tried to close down the Star-Bulletin. Antitrust regulators didn’t like that idea, so Gannett had to sell the Star-Bulletin to David Black, who is now the publishing brains behind Platinum Equity, the private firm that bought the San Diego Union Tribune last year. Black bought the Star-Bulletin in 2000 and settled in for a long battle, despite having less than half the circulation of the Advertiser. The bottom line is that Honolulu now becomes a one-paper town and the Advertiser becomes the newest addition to our R.I.P. list. It was about a year ago that Outsell analyst Ken Doctor (right) told us that the newspaper industry was in for an 18-month respite from its troubles beginning in late 2009. It turns out he was right on the money. Alan Mutter totes up recent financial results from six big publishers and reports that the four-year-long freefall in revenues appears to be slowing. Ad sales for the big six fell 10.2% in the first quarter of 2010 compared to drops of 28.3% last year and 12.8% in 2008. As the smoke clears, the extent of the wreckage becomes apparent, however. Overall newspaper revenues in the US are down more than 46% since 2006 and stand at the lowest level since 1986, Mutter says. But in inflation-adjusted figures, the industry is down an incredible 72% over the last 25 years. Mutter quotes Gannett President Gracia C. Martore stating confidently that “We are very pleased with the momentum that we had coming out of last year.” It’s hard to believe any industry executive could use the word “pleased” in the context of this crisis. Doctor told us last year that news executives should use this short-term breather to make much-needed changes to their business model, diversify their revenue stream and investing in online properties. Little has happened since then outside of publishers rallying around the brain-dead notion of charging for existing content. But perhaps they simply have no choice. In weighing in with his own characteristically astute analysis on Nieman Journalism Lab, Doctor notes that while some publishers that were hemorrhaging cash a year ago are now marginally profitable, market conditions provide precious few options for spending that pocket money. Doctor calls 2010 “a year crying out for investment in innovative mobile media product creation and marketing services/advertising infrastructure build-out,” but notes that once-mighty publishing companies must satisfy themselves with sitting on the sidelines and nursing their fragile profits while Google completes an acquisition every month. The one glimmer of good news is that newspaper publishers are finally making a dent in the massive debt that has hobbled them for the last five years. But that still leaves them little room to do anything new. A year ago, Doctor also predicted that after the 18-month respite ends, the industry will enter another period of severe contraction. We think he’s gonna be right about that prediction, too. There’s good news in Orange County, Calif., however, were Freedom Communications, which owns the Orange County Register along with 31 other dailies and eight TV stations, has emerged from Chapter 11 with $450 million less debt and new ownership by a private equity firm. Freedom entered a controlled bankruptcy last September while its new owners completed a restructuring plan. The founding Hoiles family had originally been granted a tiny 2% stake in the revitalized company, but they lost that in January, leaving Freedom entirely in the hands of the private equity owners. The company is looking for a full-time CEO, if you’re interested. There isn’t much room in the market for newsweeklies any more, and the conventional wisdom has been that Time magazine will be the last man standing. Looks like conventional wisdom is right. The Washington Post Co. is reportedly looking to unload Newsweek after three straight years of losses and the likelihood of a fourth. “In the current climate, it might be a better fit elsewhere,” said Post CEO Donald Graham in a statement. It appears that the Post Co. is not a good fit for the magazine business. 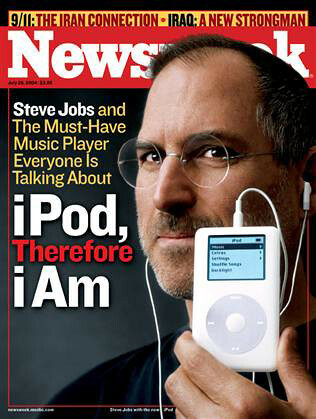 Its magazine revenue plunged 27% in 2009 and its operating loss increased to nearly $30 million. The Post redesigned Newsweek and trimmed its circulation by over a million last year in a last-ditch attempt to focus on a narrower and more profitable niche. However, the magazine market is in dismal shape in general, and weeklies have almost no value proposition in an online-driven news world. Analysts couldn’t even speculate on who might buy Newsweek, other than U.S. News & World Report owner Mortimer Zuckerman, who shows signs of being off his rocker. That may be just the kind of buyer Newsweek needs. The Wall Street Journal’s campaign to slug it out with The New York Times for national daily supremacy appears to be taking its toll on at least some Journal staffers, who are grumbling about the paper’s failure to secure even a single nomination for a Pulitzer Prize this year. There are all kinds of theories about the snub, ranging from perceived institutional hatred for Rupert Murdoch at Columbia University to the Journal’s focus on breaking news at the expense of long-form journalism to the inherently biased and political process of awarding prizes for non-measurable things like journalism in the first place (our favorite). One thing’s for sure: The Times is reveling in its three 2009 Pulitzers, as evidenced by this snub from a spokesman: “The readers and employees of the Wall Street Journal deserve much better than this type of juvenile behavior from its editor in chief.” The reference is to recently taunting of the Times by Journal editor Robert Thomson, who has criticized his cross-town rival for being insular and slow. The publisher of Dan’s Papers, which is the largest-circulation local newspaper on eastern Long Island, filed for bankruptcy, citing the weak real estate advertising market. This is despite the fact that Dan’s Papers claims an average reader household income of $381,000. The real estate market must be really bad, or high-income people must not be reading newspapers or both. Owner Brown Publishing Co., owns 15 dailies, 32 weeklies, 11 business publications, 41 free publications and 51 newspapers or niche websites. If you’re an iPhone, iPod Touch or iPad user who really likes the idea of getting a newspaper look-and-feel in a digital package, you might want to check out PressReader from NewspaperDirect. “If you’ve ever wanted to experience unadulterated newspaper goodness on the iPad, this is it,” the company said in an e-mail. “Cover-to-cover newspaper browsing with one finger. Or two, if you like to zoom in.” Which we do. The company says it delivers more than 1,500 daily newspapers from 90 countries digitally in formats that can be viewed or printed. The iPhone reader is free, so what do you have to lose? This entry was posted on Tuesday, May 11th, 2010 at 4:34 am	and is filed under Facebook, Fake News. You can follow any responses to this entry through the RSS 2.0 feed. Both comments and pings are currently closed. News doesn’t go with paper anymore. Your last item about using electronic methods of distribution shows exactly that. The only clients who are still advertising there are using ad agencies with no imagination, namely the mediocre ones out there who haven’t figured out a way to create any usable buzz without relying on releases. Everybody else, both readers and content producers, are on the web and on Nooks, Kindles, iPhones and iPads for a fraction of the cost, and without relying on noise, which is what buzz is, for the generation and distribution of revenue. As business and marketing schools get new courses dealing with promotion in the connected age, the number of those PR and advertising agencies incapable of delivering the goods will trend to zero. Black Press has closed four newspapers in British Columbia: Nelson Daily News, Prince Rupert Daily News, Quesnel Advisor and 100 Mile House Advisor. Also stated for closure are another (so far unnamed newspaper in B.C.) and reportedly soon the Red Deer Express in Alberta.